London Councils has announced Merton Council’s innovative Safeguarding Children Board’s Promotes and Protect Young People initiative as the winner of the London Safeguarding Children Award. Left to right: Councillor Peter John, London Councils’ Executive member for children’s services, Sindia Malhotra of Jigsaw4u, Councillor Maxi Martin, Merton Council’s lead member for children services, Emma Bradley of Barnado’s, Lee Hopkins, Merton Council children services manager, and Cheryl Coppell, chair of the London Safeguarding Children Board. Merton’s initiative helps to improve the co-ordination of a range of specialist services to support victims of sexual exploitation and young people at risk. In a partnership between Merton council, Jigsaw4U and the charity Barnado’s, reduced numbers of young people running away from home or care were seen, as well as increased school attendance. The young people were also helped to start to come to terms with what had happened to them and begin their recovery. The charities, Barnardo’s and Jigsaw4U, provided tailored support to victims of sexual exploitation as well as training to raise awareness among frontline professionals. The project also broke patterns of behaviour by perpetrators and disrupted organised gangs which groom and exploit young people.The London Safeguarding Children Award showcases fresh ideas and best practice to improve child protection in the capital. Local authorities, health workers and the police nominated examples of their work, including projects with other agencies and charities. 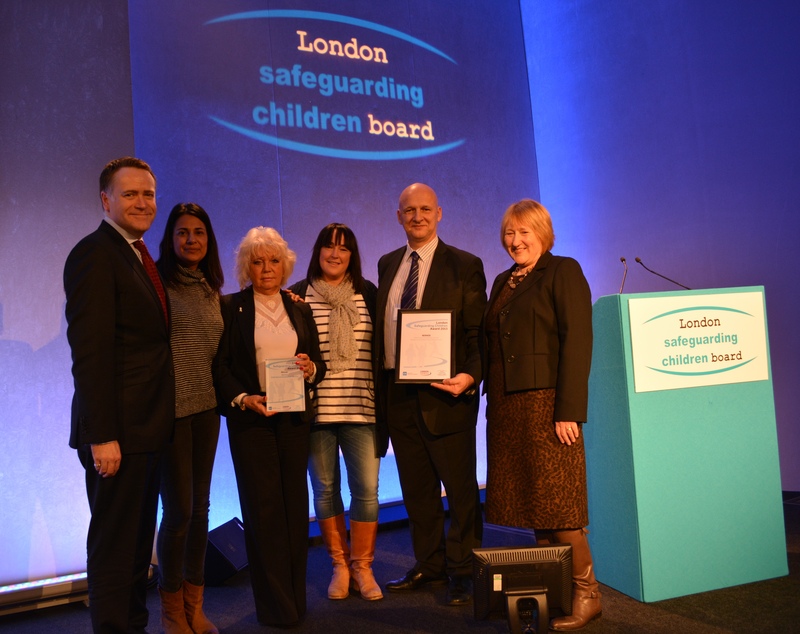 The winner was announced and presented with their award at the London Safeguarding Children Board’s annual conference this week (9 December). The judging panel were Cheryl Coppell, Chair of the London Safeguarding Children Board, Amanda Edwards, Deputy Chief Executive at the Social Care Institute for Excellence and Sue Woolmore, Chair of the Association of Independent Local Safeguarding Children Board Chairs. Cheryl Coppell said: “The standard of entries was exceptionally strong this year, and choosing a winner was a tough decision. “Our five finalists are hugely varied projects, dealing with extremely complex issues such as gang involvement, domestic violence, chronic neglect and high risk families. “Each project is making a real difference to the lives of local children and families, and the strength of our shortlist gives a good indication of the huge range of work that local safeguarding partnerships are involved in. “Our winning project works to support young people at risk of sexual exploitation, a particularly shocking form of abuse that has a devastating impact on children. “The recent report from the Office of the Children’s Commissioner highlights just how much work is still needed to tackle this issue across the country, but Merton’s work is a timely reminder of the progress that can be made when partners come together to tackle this issue in a joined up way. “I would like to congratulate all the shortlisted entries and hope their projects will encourage teamwork and learning between safeguarding children boards and all the agencies they work with.